It's Sunday, I've just finished my first uni assignment and I'm in the mood to celebrate! Lets do a giveaway!!! Yeh baby! 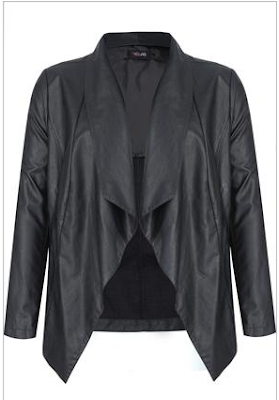 This gorgeous Black PU Waterfall jacket is perfect for chucking over thick knits on chilly autumn days, and I have one in a 22/24 to giveaway. I have actually tried this jacket on and would say it fits more like a 24/26. 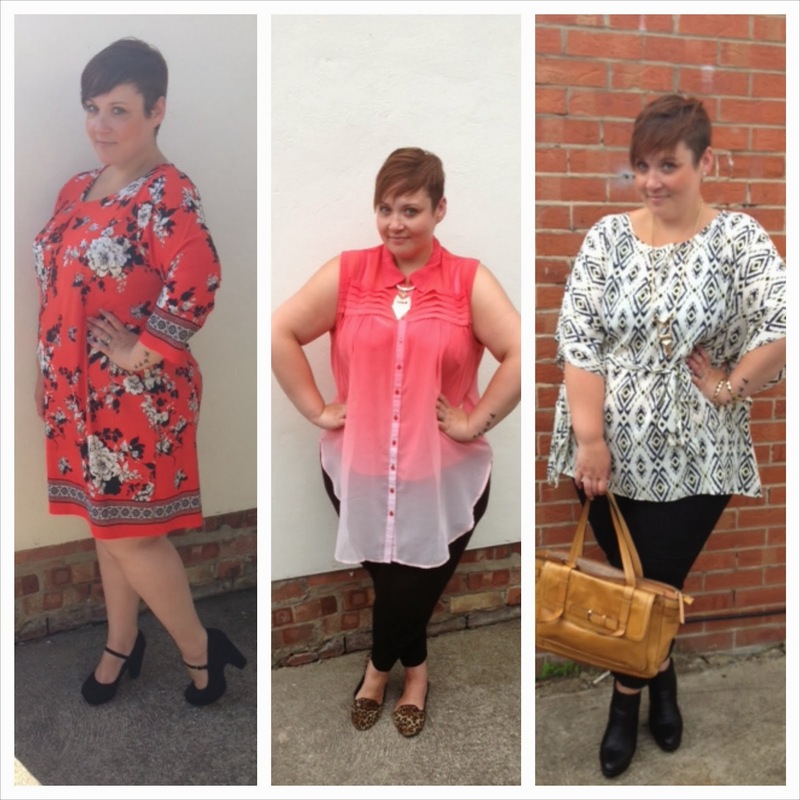 Some of my favourite Yours outfits - Don't ask me why I'm dinky in the middle, some dodgy angle!! All you have to do is fill in the old rafllecopter thingy and bobs your attractive, leather-look jacket.... But hang on a minute, didn't I say everyones a winner? Ok so I might not have 100's of jackets to giveaway but what I do have £10 off orders over £20 (new customers only) when you enter the code BLOGGER13 So what are you waiting for?!! I so love that dress and those shoes!